Select Share on the ribbon. Or, select File > Share. 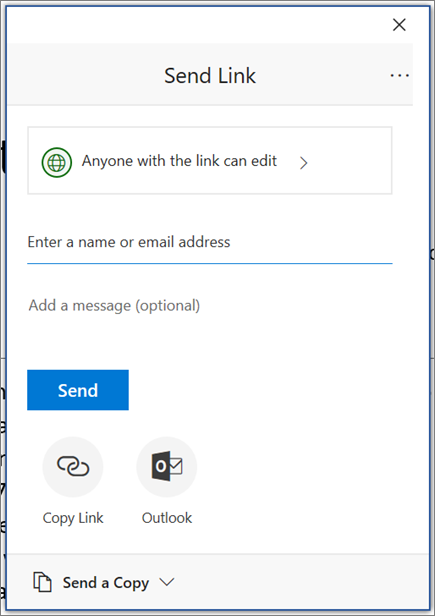 Note: If your file is not already saved to OneDrive, you'll be prompted to upload your file to OneDrive to share it. Select who you want to share with from the drop-down, or enter a name or email address. Add a message (optional) and select Send. After you share your document, you can work on that file at the same time with others. For the best experience, work together in Word Online and see real-time changes. Under Share, you will see the names of who else is also editing the file. Colored flags show you exactly where each person is working in the document. To track changes, select Review > Track Changes.